Some of the titles come from me, like How to Marry a Millionaire Vampire, Vamps and the City, and Wild About You. Others, like Be Still My Vampire Heart, were my idea, but not the original title. I originally called it Vampires in Kilts. All I Want for Christmas is a Vampire was chosen by the sales department at HarperCollins, since they thought the title was extremely marketable. And they were right! The Vampire and the Virgin was made up by the head of the art department who creates all my beautiful covers. Eat Prey Love, Vampire Mine, and Sexiest Vampire Alive were the fantastic ideas of my editor. 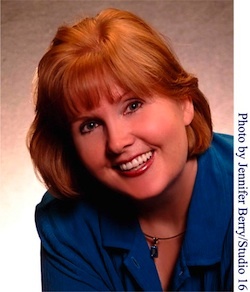 The Vampire with the Dragon Tattoo was the idea of fellow author and friend, Sarah MacLean. The upcoming book (next April) is another one from me—How to Seduce a Vampire (Without Really Trying). You could call it a group effort, since everyone likes to get involved! Your Scottish heroes are great. How do you come up with such funny ideas like a vampire checking if every piece of him has arrived safely after teleporting? Ha!! Well, the secret there is to put myself in the guy’s shoes (or brain, if I can find it). Once I start seeing the world from the male perspective, my priorities shift, and it suddenly becomes very important to make sure all the male parts have arrived intact after teleporting. It’s a guy thing. And it’s one of the fun things about writing romance. The guy is going to see everything differently from the girl—the Mars and Venus effect—which leads to some funny misunderstandings and conversations. You’ve been mixing were creatures with your vampires. Was that a natural development, planned or pure coincidence? It was planned somewhat since Phil, the werewolf, and Howard, the were-bear, appear in the first book as guards. It seemed obvious to me that the vamps would need someone they could trust to watch over them while they’re in their daily death-sleep. Wouldn’t you want a big grizzly bear guarding you? What wasn’t planned was that the shifters would become so important that they eventually got to star in their own books. I’ve had so much fun creating shifters, that I’ve introduced new ones like Carlos, the were-panther; Rajiv, the were-tiger; and Finn Grayson, the were-dolphin. Were your vampires always designed to be funny? Yes. From the first book, How to Marry a Millionaire Vampire, where Roman loses one fang and is in danger of being a lopsided eater for all eternity, I’ve always seen the funny side of vampires and shifters. In America „The Vampire with the Dragon Tattoo“ has been published, your fourteenth novel. How do you come up with new ideas for the next novels? I write character-based books, which means I derive my plot from the characters. Their wants, needs, fears, goals, and motivations determine how the plot will take shape. In The Vampire with the Dragon Tattoo, the hero is Dougal, who lost his hand in battle a few years back. He’s a wounded warrior, both physically and emotionally. He’s also a musician at heart, but he finds it difficult to play a happy tune on his Irish pipes, because his prosthetic hand isn’t nimble enough. So he can play only slow, mournful music. Obviously, he’s a very sad guy at the beginning of the book. The good news is that he can be healed and his soul restored to joy through laughter and the love of a special woman. How do you know which hero to put with which heroine? In most cases, I already know the hero, but not the heroine. So I design the heroine for the hero, making her the one who can heal his heart and give him what he needs to be whole again. That way, through the course of the book, he realizes that she is the only one for him. And vice versa—he has to be the perfect one for her, too. That’s when you get the special yearning between your hero and heroine that’s so achingly sweet. 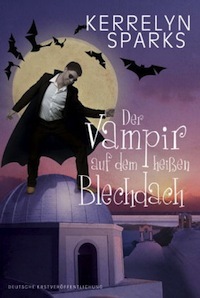 In Germany, the last novel has been „Der verflixte siebte Biss“ (Eat Prey Love). What do you think is the best part still in store for German readers? Oh, then Vampire Mine is next! That one is Connor’s story, and it’s one of my favorites. Connor is such an intriguing hero. I knew it would take someone really special to heal him, and if you’ve seen the cover, you know what I mean. Connor’s heroine is Marielle, a fallen angel! Your series is now available as audio books. How does it feel to hear your novels being read? I only listened to a few lines from the first one, then I screeched and turned it off! I don’t know why, but it totally freaks me out. I’m very happy, though, that they exist. I know a lot of my readers enjoy them. Yes, I have two historical romances in English, and like my paranormal books, they are romantic comedies with some suspense. The first one is The Forbidden Lady. The sequel, Less than a Gentleman. Both are set in America during the American Revolutionary War. So the villains in each book are the British. The heroines are sisters—Virginia and Caroline Munro, and their father, Jamie Munro, came from Scotland and still has the accent. I don’t seem to be able to write a book without a Scotsman! Do you want to tell your German readers something else? I would love to see you on Twitter, Facebook, or Goodreads. I run contests that are open to international entrants on my website, and on the 25th of every month at the Supernatural Underground blog. Thank you so much for continuing to support the series! I’m delighted you’re enjoying the books!